In addition to our donating listeners, we are so grateful to all our sponsors for making the show possible. They’re also part of the mishpacha – the Israel Story family. Check them out! Jumpspeed Ventures is a unique venture capital fund that invests in Jerusalem’s technology ecosystem. They are the first and only venture capital fund dedicated exclusively to investing in the most exciting early-stage software startups based in Jerusalem. Best-Day Adventures offer specialized trips for active Jewish singles in their 40s, 50s and 60s. They plan their trips to a tee, with top-notch services, fun icebreakers, and an indulgence of enriching discoveries designed to create a warm, welcoming environment. 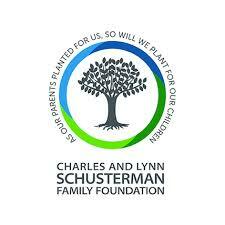 The Charles and Lynn Schusterman Family Foundation is a global organization that seeks to ignite the passion and unleash the power in young people to repair the world. For over thirty years, Schusterman has been supporting inspiring organizations and passionate individuals who are improving public education in the United States; strengthening Israel and the Jewish people; building communities grounded in inclusion and equality and working to ensure children grow up free from abuse and neglect. Talkspace is the online therapy company. For a fraction of the price of traditional therapy, you can pick an experienced, licensed, therapist you can relate to and feel comfortable with. Each and every therapist has at least a master’s degree and has completed over 3,000 hours of supervised work. Get $45 off your first month with the code Israel. Onward Israel offers six to ten week-long summer internships in Israel, for college students and recent grads. Internships are catered to your field of interest and the programs are highly subsidized. They match you with a resumé-boosting internship, set you up with housing, and introduce you to a cohort of fellow interns. Amazing Journeys is a travel company offering group trips for Jewish Singles. Indulge your passion for discovering new destinations with like-minded travelers from around the world. They take the guesswork out of vacation planning, so all you have to do is sit back, relax and enjoy the journey! Get $100 off your first amazing journey with the code Israel Story.